I’ve gone to Seoul to beauty-hunt for my website, Peach &Lily, every few months for the past three years, and lately I’ve noticed a meaningful increase in products that include one ingredient: propolis. This growth in popularity is for good reason. First things first—what is propolis? The resin-like substance is made by bees and mainly used to fill in honeycomb crevices for protection. Bees collect tree sap and combine it with beeswax to make propolis, which beekeepers then scrape away from the hive boxes (no bees are harmed in the process). After all this, it turns out propolis is also an amazing ingredient for your skin. Keep scrolling to find out how it can help your skin—and acne, in particular. Moisturizing: Yes, it even hydrates skin without a creamy, heavy residue. Free radical fighting: Propolis is also packed with antioxidants, helping to keep free radicals (which are an almost inevitable reality with everyday pollutants and sun exposure in the intense summer sun, even if you’re an avid SPF user) from causing cellular damage. How is this good for acne? There are a lot of different causes for acne. Of course, there is hormonal acne, which is hard to address through topical means alone. However, even then, the aftermath of hormonal acne can be helped by propolis. And for bacterial acne, propolis can go a long way in both prevention and recovery from acne-related issues. Let’s start with prevention. Bacterial acne is caused by a tiny microbe that thrives in the skin’s pore, near the sebaceous gland. This type of bacteria can trigger an immune response, resulting in inflammation, redness, and visible acne. Since propolis has antiseptic characteristics, this ingredient can help actively fight off acne-causing bacteria. I love this about propolis! On top of that, your skin is healthier and can function more optimally (i.e., fight bacteria off itself) when it’s well hydrated. Propolis also moisturizes, so this helps keep skin healthier. And finally, acne can be tied to oily skin because overactive sebaceous glands are regular culprits for acne. It’s not as simple as oil leads to acne and dry skin leads to no acne; sebum is like glue and traps dead skin cells, pollutants, and all sorts of impurities in the pores. And there is some correlation between oily skin and acneic skin, so when propolis helps to combat oily skin, that’s a good thing for acne sufferers. No matter how hard we try to protect our skin, I find that it’s nearly impossible with the environment we live in now. There are so many pollutants, and in the intense summer heat, even when I reapply SPF every couple of hours, I inevitably find that there is some sun exposure I wasn’t able to prevent. That’s where antioxidants play a critical role. SPF is the leaky fort, and when free radicals infiltrate, antioxidants are the militia on the ground, ready to protect skin. This is important for those who struggle with acne. Healthier skin means the ability to fight off bacteria and keep everything more in balance. Let’s say that try as you might, breakouts are still happening. Propolis helps so much with the aftermath. Because of its healing abilities, it’ll help speed up recovery from scarring and heal your skin. So which propolis products are best? This is a generous, lightweight ampoule for those looking for great value. It’s 80% propolis—there’s a reason this became an internet sensation in Korea. This ampoule is great for those who are also looking to boost radiance. If you want to try it out with less commitment, here’s the sister sheet mask, also loved by so many. I personally love this mask because it’s one of the ones out there that don’t leave your face with that slightly tacky feeling that others might. 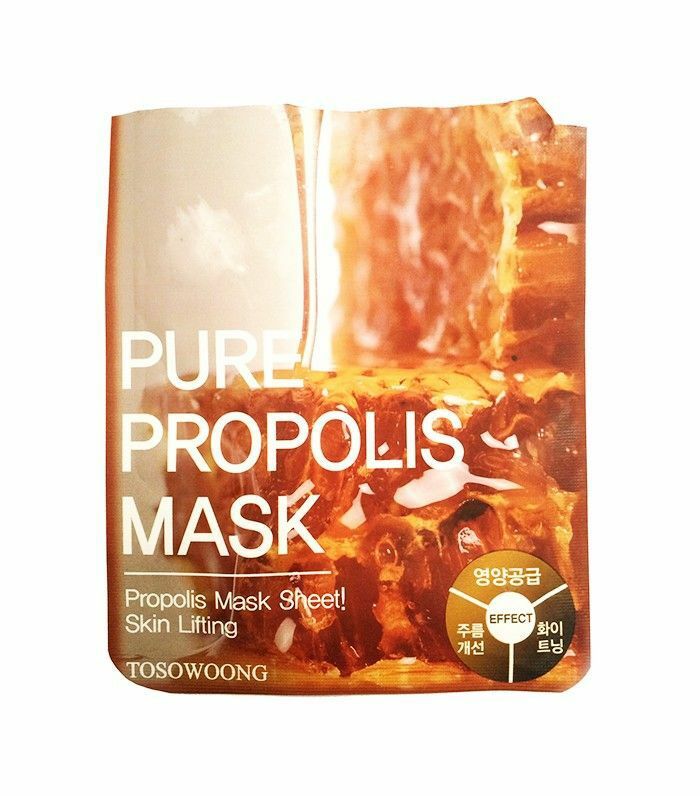 One of Korea’s best-selling sheet masks also unsurprisingly uses propolis as one of its hero ingredients. This one is also great and leaves your skin supple without that sticky residue afterward. 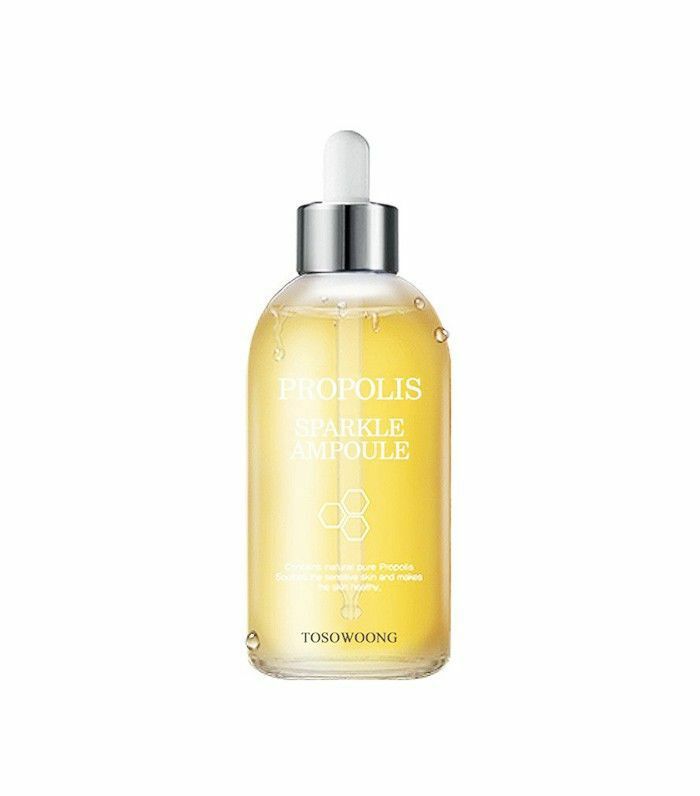 One of Korea’s most established dermatologists also includes a propolis ampoule in its lineup. This one is great for those who are also looking for a boost of hydration as well. 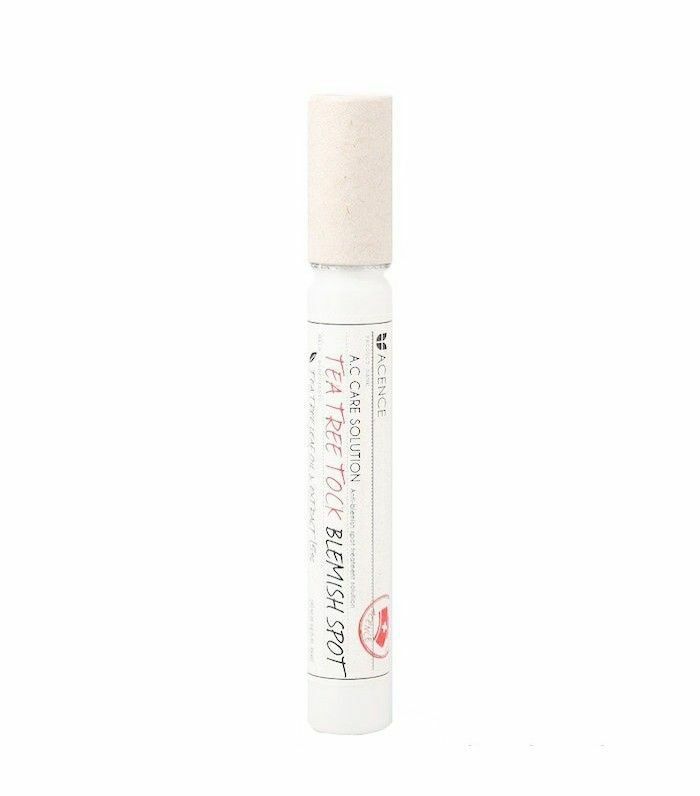 This uses all the potent natural ingredients like propolis and tea tree to spot-treat right when trouble comes about to help prevent a full-on breakout. We have bees to thank for keeping this summer a little more breakout-free! 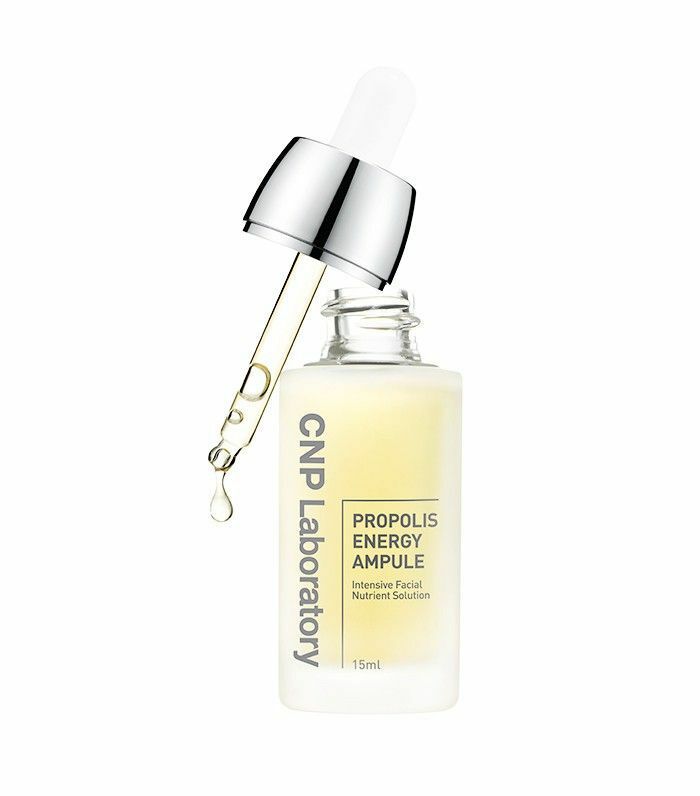 Have you ever tried a propolis product?